Hungry? 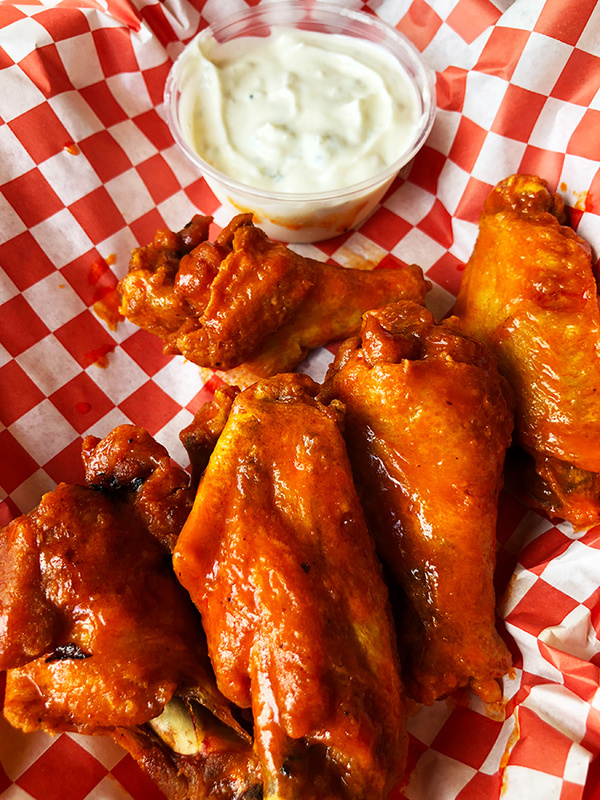 Here are the 7 best wings spots in Charlotte. 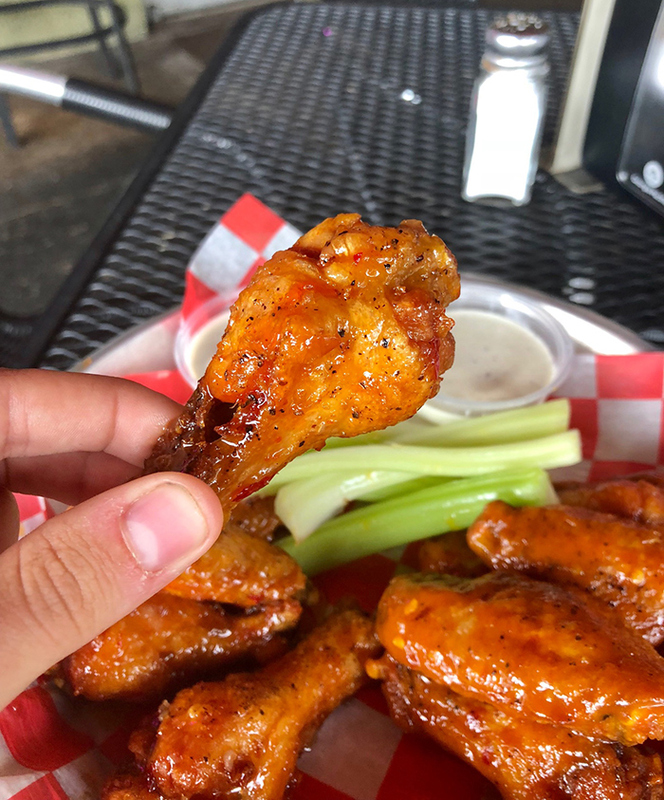 After sampling way too many chicken wings around town, we at the Agenda have debated and curated the definitive 6 best wings spots in Charlotte. Eat up. Sweet Lew’s, the new hit barbecue spot in Belmont, doesn’t normally do wings, but they’re taking orders for the Super Bowl. You can order a dozen whole smoked wings for $15, but you have to get your order in by Friday February 1. Hickory Tavern is doing an amazing wing special for the Super Bowl. For $19.95, you get all you can eat wings. Fine print: The special starts one hour before the game, just to keep you from stuffing your face for the entire day. Honorable mentions: Midwood Smokehouse, Mac’s Speed Shop, Ty’s Wing & Tings Restaurant, Selwyn Avenue Pub, Alexander Michael’s, Duckworth’s, Sauceman’s and Taste of Buffalo. Charlotte wing lovers know d.d. Peckers. 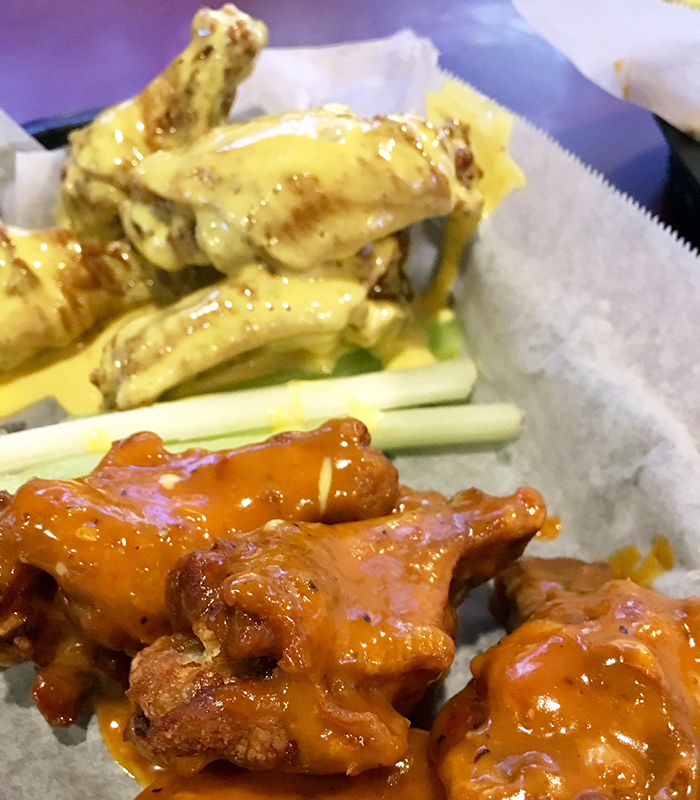 It’s widely regarded as the #1 wing spot in our city. Inside, you’ll find a dark bar-type vibe — but don’t be mistaken, the employees and the wings are fantastic. Sauce options: 30. All sauces are made in-house and if you’re nosy, you can look into the kitchen and watch the cooks toss the chicken wings in large silver sauce bowls. Background: Owner Justin Holland bought d.d. Peckers in 2004 and has been running it ever since. He told the Agenda that their true secret to success is that they’ve had the same core staff for 10+ years. This Dilworth neighborhood hangout may be the closest to “real Buffalo wings” you can find in Charlotte. Sauce options: 6. Buffalo-Style (medium or hot), Gold Rush (tangy-sweet BBQ), Jerkiyaki (jerk & teriyaki), Stingers (sweet-heat), Blackened (cajun rub & charred), Garlic-Parm (dry rub – mild). Background: With the mass New Yorker migration, there was definitely a market for a spot serving up authentic Buffalo wings and a safe haven for Bills fans. 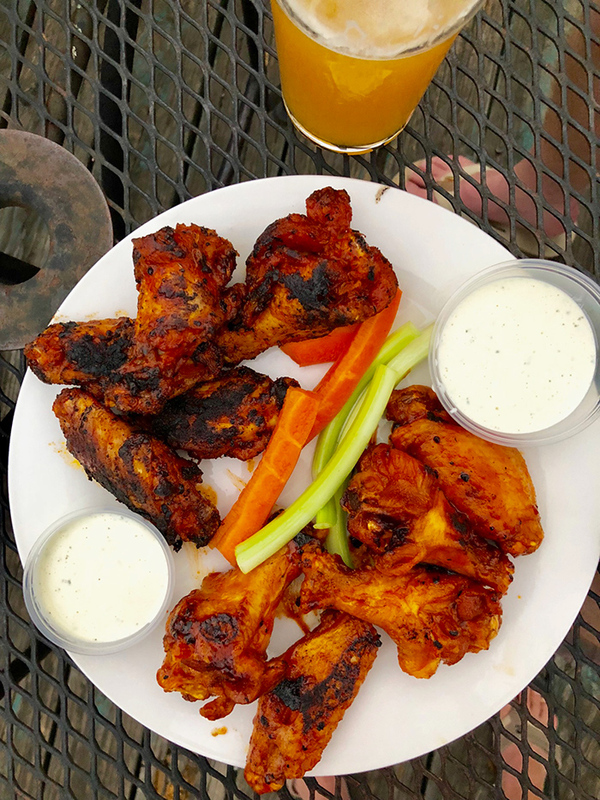 The many upstate New Yorkers I know say that Lebowski’s wings are the closest you’re going to get to “real Buffalo wings” like the ones you get (obviously) in Buffalo. I would expect nothing less; Lebowski’s owner is a transplant who grew up in Buffalo. Moosehead is the epitome of a neighborhood watering hole — a casual, eclectic atmosphere, heavy drinks, and really excellent bar food. Neighborhood: Montford (1807 Montford Drive). Must-try flavors: Uncle Donnie’s Famous Blackened Wings and Bee Stings. Be prepared for some heat from the Bee Stings. Sauce options: 11. Feeling crazy? Do Moosehead’s PB&J Wings – thai spices, peanut butter and apple jelly. 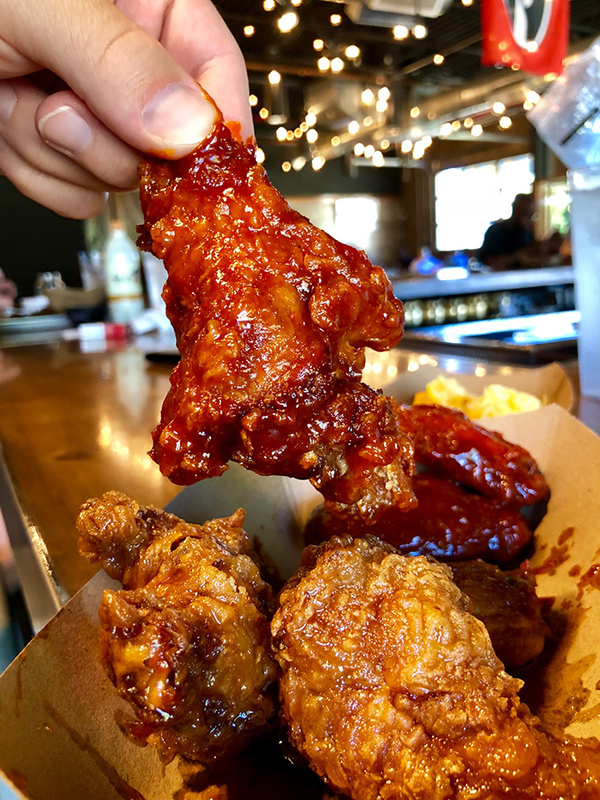 Awards: Previously named the best in Charlotte and the Carolinas, and the Rookie of the Year award at the 11th Annual National Buffalo Wing Festival. Founded by two brothers from Buffalo, Bistone Pizza Company is known for their pizza wings and pasta. Their recipes have been passed down in their family. Neighborhoods: Uptown and Matthews (two locations). Exact address are 1381 Chestnut Lane in Matthews and 710 West Trade Street in Uptown. Must-try flavors: Buffalo flavor heat options include: mild, medium, hot and inferno. If you’re looking for other flavors they’ve got BBQ, sweet BBQ, teriyaki, Carolina gold, bourbon BBQ and sweet chili. Dipping options: Go with their homemade bleu cheese or homemade ranch sauces. Two Locations: 1381 Chestnut Lane in Matthews and 710 West Trade Street in Uptown. Fun fact: They’re one of the few spots in our city that offers a chicken finger sub tossed in buffalo sauce with homemade blue cheese. It’s a Buffalo thing. Background: Jim and Steve DaPolito, owners and brothers, are from Buffalo, NY – so they get Buffalo wings, obviously. 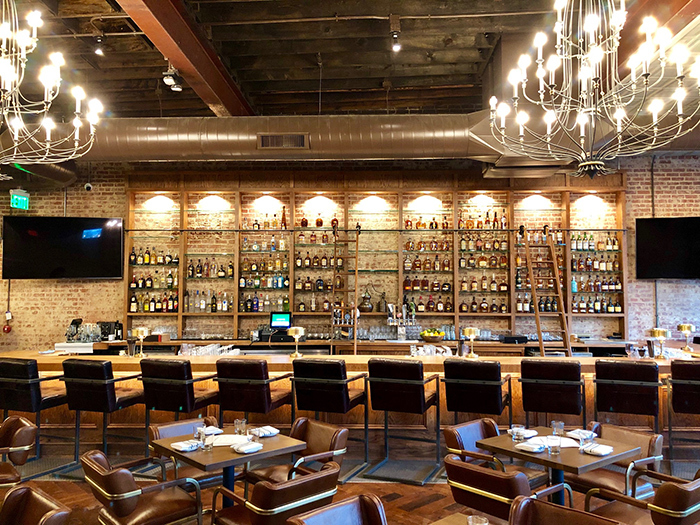 Sure, you go to this 84-seat upscale cocktail bar and restaurant in Elizabeth for the drinks, but their wings are so damn good. Wing description: Order the charred wings with house hot sauce, sorghum and gates blue. 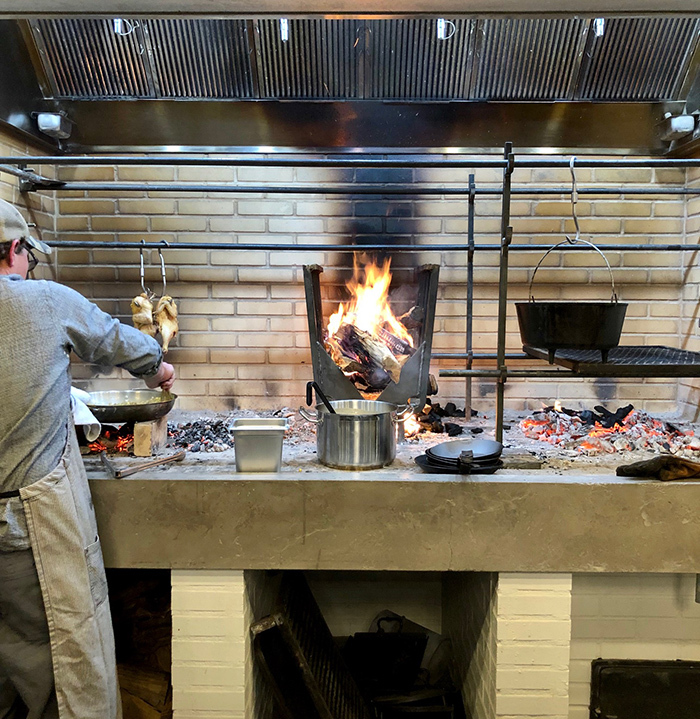 Cooking style: Wings are cooked on a hearth, which is completely exposed to the rest of the space. 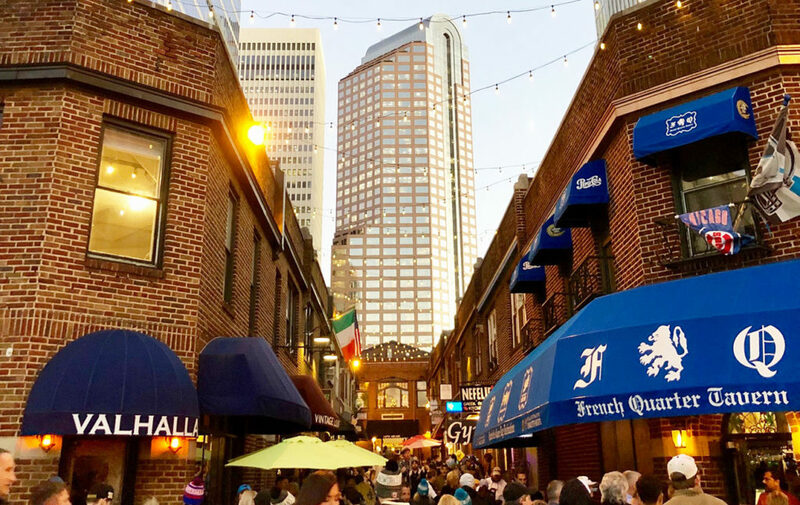 Don’t forget: The Crunkleton Charlotte is a private club, and membership will run you $10 per year. Fun fact: If you’re there with a meat-loving group, order the massive 36-ounce dry-aged tomahawk ribeye ($110). This trendy South End spot has emerged as one of the hottest hangouts in the city. It’s a Southern BBQ restaurant with a heavy Korean inspiration. Think hip urban vibe, Instagrammable cocktails and an amazing back patio. Wing style: These are not normal wings; they are Korean style, double-fried. They have a delicate, crackly crust and are smothered with sauce. 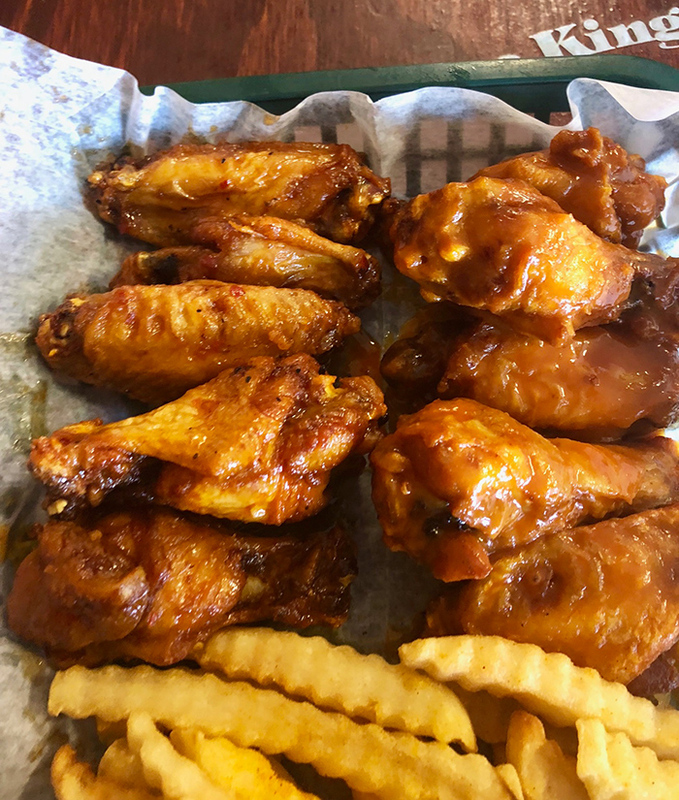 Wing King Cafe is not actually a cafe; it’s a sports bar with an old-school tavern vibe, chatty and friendly staff and excellent wings. 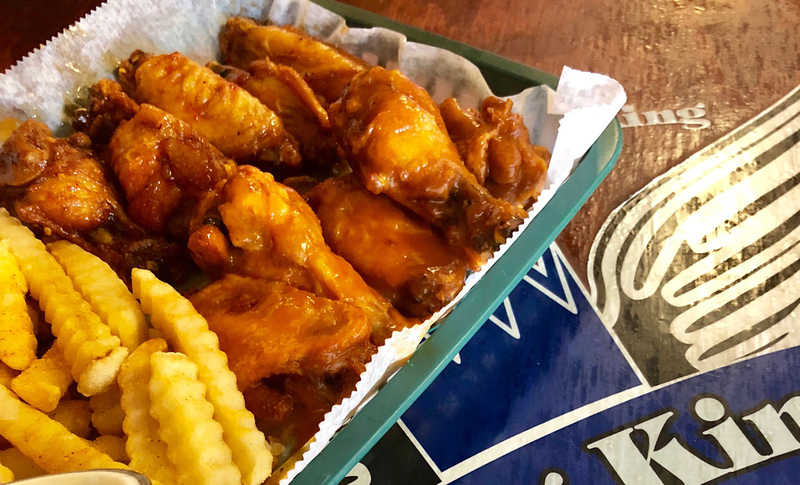 Overlook the location (questionable-looking gas station plazas and strip malls are not often home to fantastic food), grab a bar stool and a cold beer, and get a little messy while you chow down on saucy wings. Sauce options: 30+. You can go traditional or try something different, like hot garlic parmesan, Cajun or Ming’s sweet chili. Wing King Cafe has 8 different types of garlic flavors alone. Favorite order: Their King Sampler — 25 wings, five different flavors (your choice).